Scientists have been sifting through data gathered from observing the object's quick pass in front of a star – an astronomical event known as an occultation – on June 3. 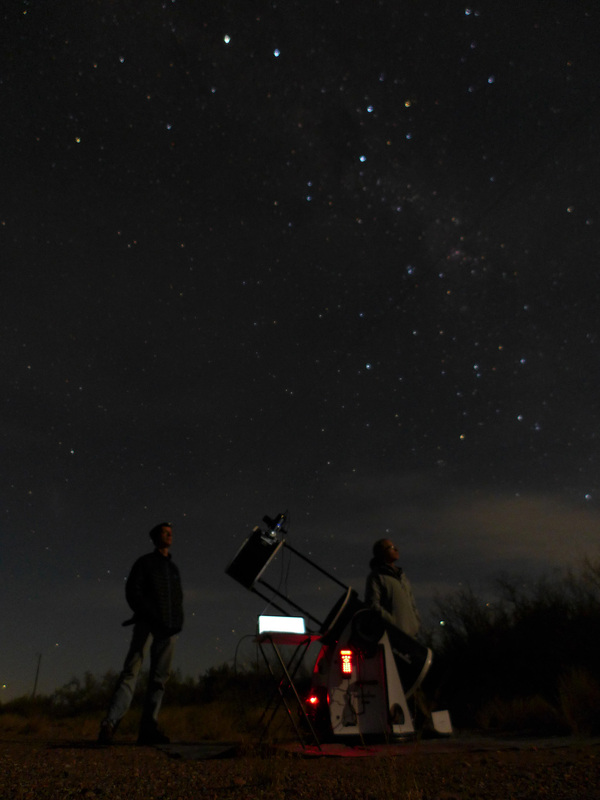 More than 50 mission team members and collaborators set up telescopes across South Africa and Argentina, along a predicted track of the narrow shadow of MU69 that the occultation would create on Earth's surface, aiming to catch a two-second glimpse of the object's shadow as it raced across the Earth. Accomplishing the observations of that occultation was made possible with the help of NASA's Hubble Space Telescope and Gaia, a space observatory of the European Space Agency (ESA). "These data show that MU69 might not be as dark or as large as some expected," said occultation team leader Marc Buie, a New Horizons science team member from Southwest Research Institute (SwRI) in Boulder, Colorado. Initial estimates of MU69's diameter, based primarily on data taken by the Hubble Space Telescope since the KBO's discovery in 2014, fall in the 12-25-mile (20-40-kilometer) range – though data from this summer's ground-based occultation observations might imply it's at or even below the smallest sizes expected before the June 3 occultation. Besides MU69's size, the readings offer details on other aspects of the Kuiper Belt object. "These results are telling us something really interesting," said New Horizons Principal Investigator Alan Stern, of SwRI. "The fact that we accomplished the occultation observations from every planned observing site but didn't detect the object itself likely means that either MU69 is highly reflective and smaller than some expected, or it may be a binary or even a swarm of smaller bodies left from the time when the planets in our solar system formed." More data are on the way, with additional occultations of MU69 occurring on July 10 and July 17. On July 10, NASA's airborne Stratospheric Observatory for Infrared Astronomy (SOFIA) will use its powerful 100-inch (2.5-meter) telescope to probe the space around MU69 for debris that might present a hazard to New Horizons as it flies by in 18 months. On July 17, the Hubble Space Telescope also will check for debris around MU69, while team members set up another groundbased "fence line" of small mobile telescopes along the predicted ground track of the occultation shadow in southern Argentina to try to better constrain, or even determine, the size of MU69.